Arsenal are said to be eyeing up a surprise move for Tottenham and Belgian defender Toby Alderweireld, who’s available for as little as £25M. The Gunners’ defensive record has been poor this season, with the north London side being the only team in the division who are yet to keep a clean sheet away from home this year. This factor speaks volumes about the state of Arsenal’s defence, and it seems like the club are keen to try and improve this area of their squad if this report is anything to go off. According to the Sun, the Gunners are eyeing up Toby Alderweireld, with it also being stated that the player could be available for just £25M due to a release clause in his contract. It’s also reported that the release clause in Alderweireld’s deal will only last up until July 26th, something that means Arsenal may have to get a move on if they want to bring the Belgian to the Emirates in the summer.
? @Arsenal are the only team in the @PremierLeague, yet to keep a clean sheet away from home so far this season. Should Alderweireld end up swapping the white half of north London for the red side, it’d come as a big shock to most fans, as transfers between the two clubs very rarely happen. 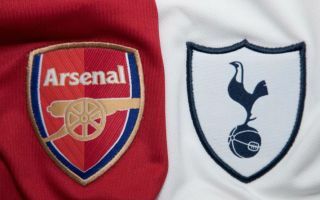 The last player to play for both sides was Emmanuel Adebayor when he joined Spurs back in the summer of 2011, and we’d definitely be shocked if Alderweireld ended up moving to the Gunners in the summer. The Belgian is exactly the type of signing Unai Emery’s side need to sort out their defensive troubles. Alderweireld has proven to be one of the best centre backs in the Premier League in recent years, and his arrival at the Emirates, should it happen, could be the signing the club need to fix their issues at the back once and for all.